For the fifth consecutive year, Chevrolet will act as Super Sponsor of 2014 South by Southwest®, which runs from March 7-16 in Austin, Texas. The annual festivities celebrate everything from music, movies, and gaming to interactive media and technology, and Chevrolet will have a significant presence through appearances and demonstrations. “Chevrolet will share our passion for technology with conference-goers at South by Southwest and looks forward to continuing the conversations that inspire us to create advanced products and services for our customers,” said Paul Edwards, U.S. vice president, Chevrolet Marketing, in a press release. During the March 9-12 SXSW Trade Show at the Austin Convention Center, attendees will be able to demo the newly-announced in-vehicle 4G LTE that will be available in upcoming 2015 model year vehicles. In addition, Chevrolet’s return as a Super Sponsor of 2014 South by Southwest will result in the return of the popular Catch A Chevy shuttle service, which offers SXSW attendees complimentary rides in a wrapped Impala or Volt at varying hours from March 7-15. The Drive A Chevy program will also return, allowing event-goers to test drive vehicles such as the Cruze Diesel, Spark EV, and 2015 Tahoe (check Chevy’s press release for times). 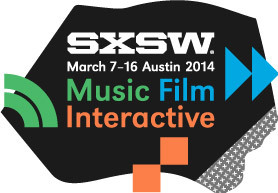 Are you hitting up SXSW this year? If so, we are insanely jealous and want to know what you’re most excited to see/hear/do.